Welcome to Gaming Club, one of the original online casinos! Prepare yourself for a total onslaught of the best quality Slots, table games and more, and the thrilling, fulfilling chances to win they bring. Ever since our launch in 1994, we have used nothing but the best online casino software to ensure players enjoy the highest standards. We also ensure that our bonuses and promotions are among the most exciting and generous available, that our banking service can be used with peace of mind, and that customer support is always within easy reach. Thanks to our mobile casino, you can your favourite online casino games powered by Microgaming even when you are out and about. With all this and so much more available, isn’t it time you made Gaming Club your online casino of choice? Our online casino is licensed by the Malta Gaming Authority, and is endorsed by the internationally respected regulator, eCOGRA. This means that when you play at our casino you can always expect quality and integrity. The game results you get are fair, we keep our online and software security up to date, we use award-winning software, and we pay out promptly. Register an account to get started. With more than 500 online Slots, table games, card games, speciality games, and more, there is no shortage of riveting action, entertainment, and suspense at Gaming Club. You will not find a shortage of lavish jackpots up for grabs, either. Browse through our Video, Classic, and Progressive Slots, online Blackjack, online Craps, online Roulette, online Video Poker, and other casino games at leisure, and find the ones you love. Gaming Club’s premium software is powered by renowned provider Microgaming, which means you can play with total confidence and ease. 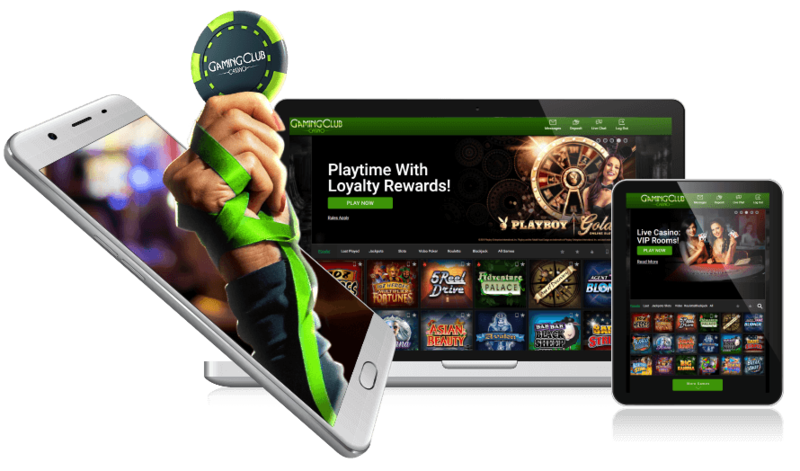 With more than 2 decades of online casino industry experience, Gaming Club understands how much of a difference bonuses and promotions can make to players’ gaming. We work tirelessly to bring you special offers every day of the week. If you are a new player, we have a rousing welcome prepared. As soon as you deposit real money into your bank account, you receive the first instalment of your welcome bonus. Deposit as much as $200, and receive up to $200 in 100 per cent match bonus credits. When you make your second deposit for up to $100, and receive as much as $150 in bonus credits. As much as we have tried to ensure you enjoy gremlin-free gaming, one occasionally slips through the cracks. If something does not work the way it ought, or if you need support with an account query, customer service is available via live chat and email. Play at Gaming Club Casino and discover why we remain at the top of the game!